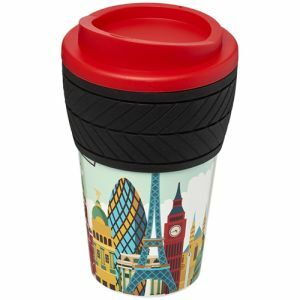 Branded travel mugs are soaring in popularity because as a nation, the UK is increasingly on the move. 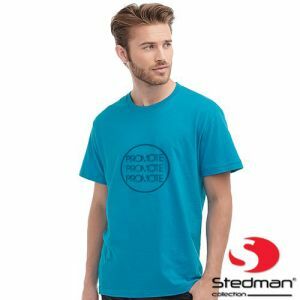 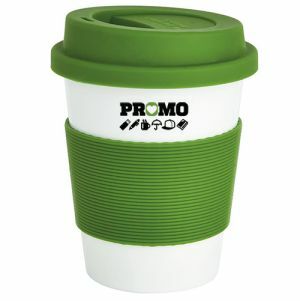 Whether it's on the daily commute, at a corporate event or even at the kids' football at the weekend, a promotional travel mug gives you the opportunity to get your business logo and marketing message across to a much wider audience than many other products. 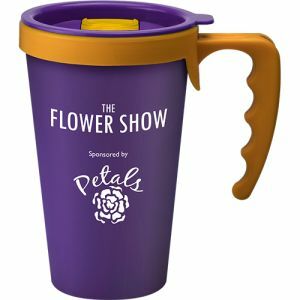 At special outdoor events, a personalised travel mug could really give the edge over the competition in terms of visibility. 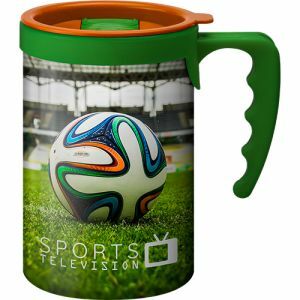 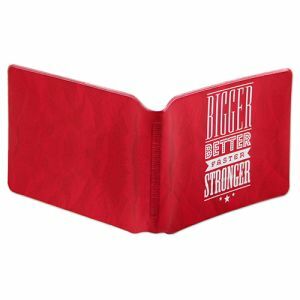 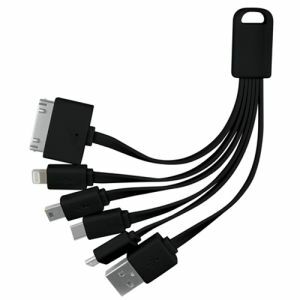 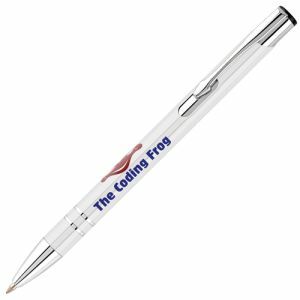 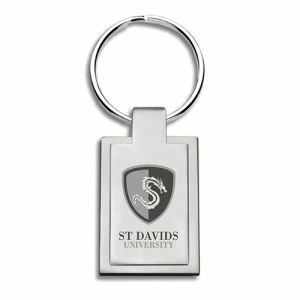 In addition, this is a genuinely useful and valuable promotional product that has a great shelf life. 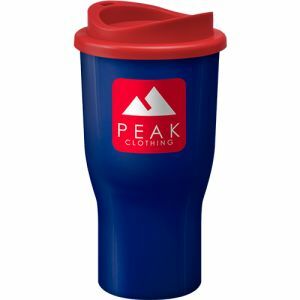 Your marketing will keep delivering for months or even years. 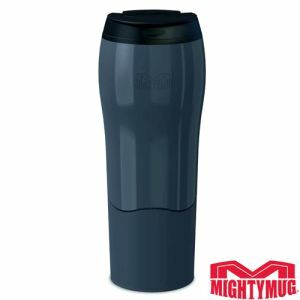 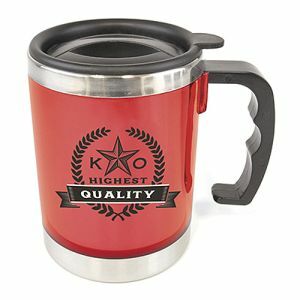 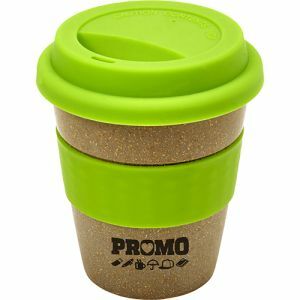 These thermal mugs are great for customer giveaways, but your employees will also thank you for helping keep their morning coffees hot on the way to work. 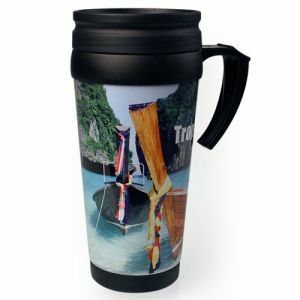 Branded travel mugs are increasingly in demand because of our busy lifestyles. 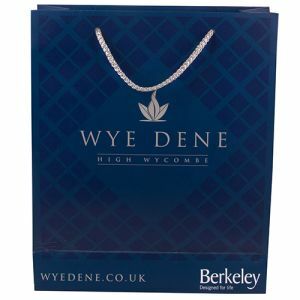 We've found that customers are looking for marketing ideas with longevity that will suit their clients' needs and also promote their company. 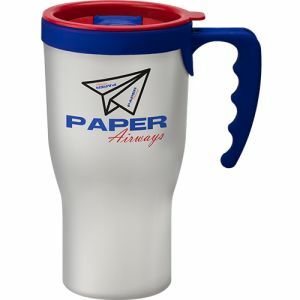 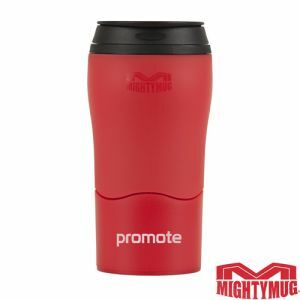 Promotional travel mugs are practical business gifts that won't get thrown away or put in the bottom drawer. 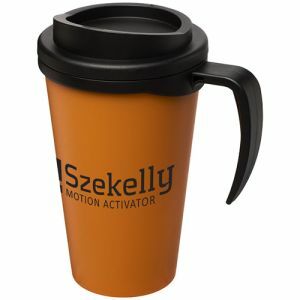 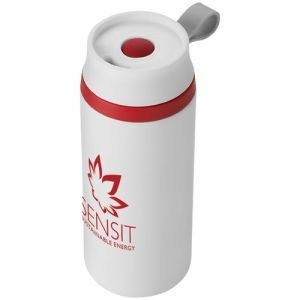 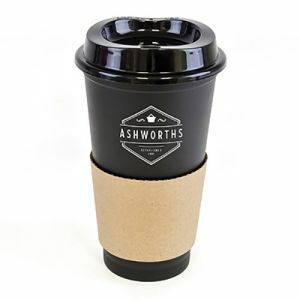 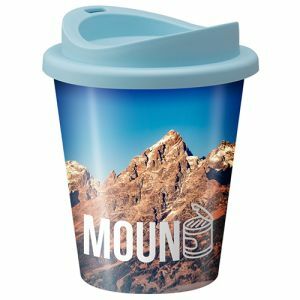 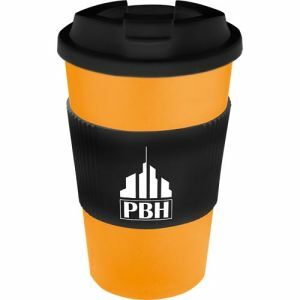 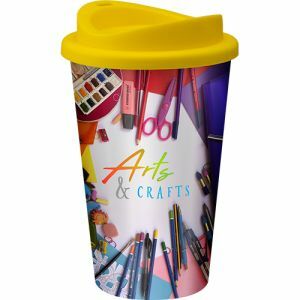 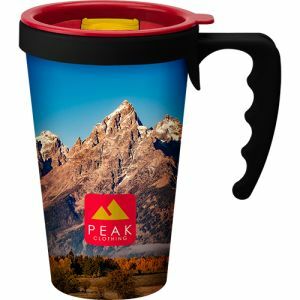 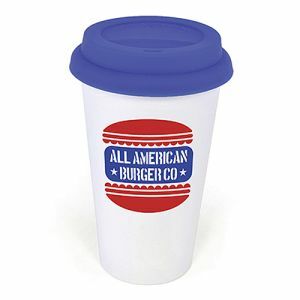 With custom printed travel mugs you get promotional products that will be used regularly and be on view for all to see as your customers enjoy their tea, coffee, hot chocolate, soup or other hot beverage. 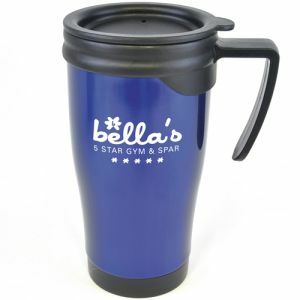 Travel mugs are more popular than ever amongst regular users of coffee shops. 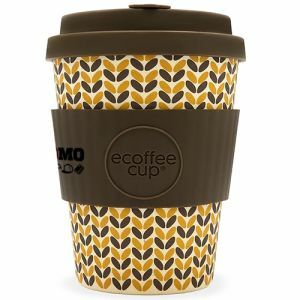 The move away from disposable cups towards reusable cups is gathering pace. 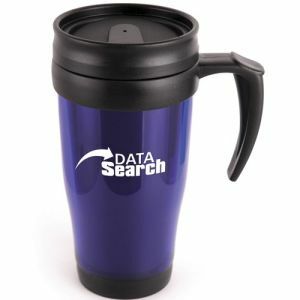 Some coffee chains even offer a discount if you bring your own mug (plus you won't have that illegible scrawl on the side anymore!). 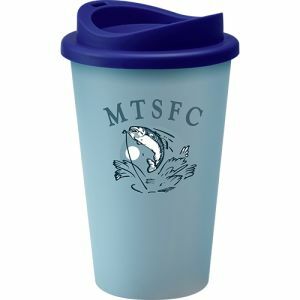 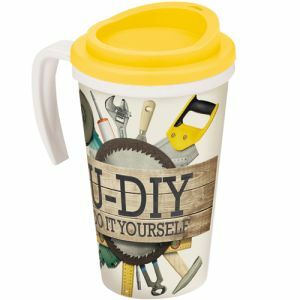 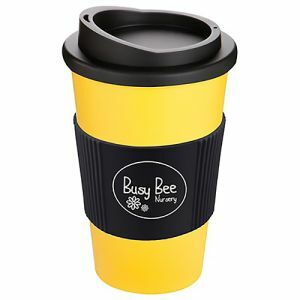 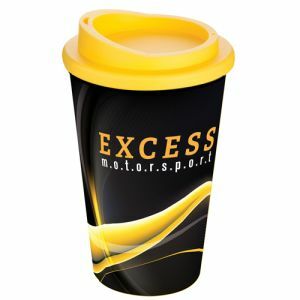 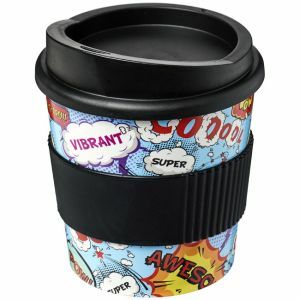 Our range of thermal mugs come in a wide range of colours of styles to match your branding and we can print up to four colour imagery on certain models. 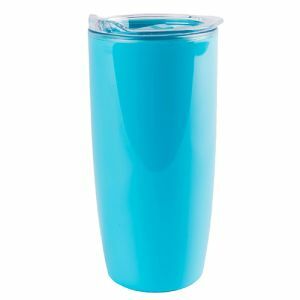 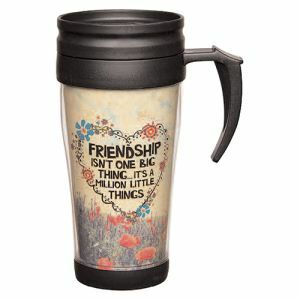 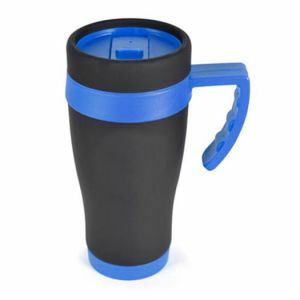 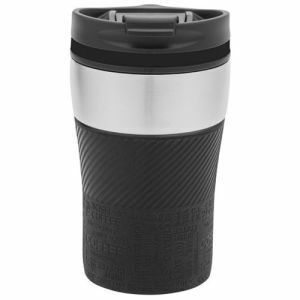 We have both plastic and metal travel mugs to suit all requirements and budgets. 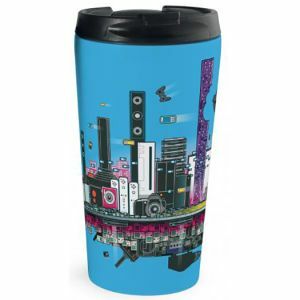 The Thermo Travel Mug is our best-selling plastic travel mug, whereas the Kandinsky is our most popular metal travel mug. 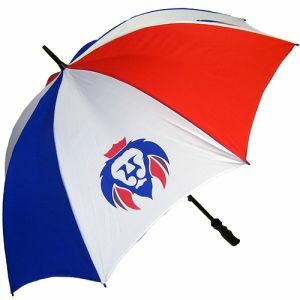 Take a look at our selection and choose the features that best suit your requirements. 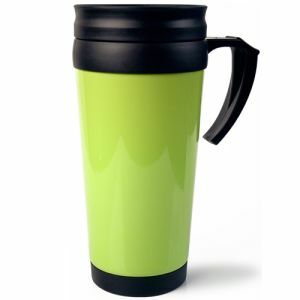 Perhaps you're looking for spill/leak proof mugs or maybe being dishwasher-safe is high on your list of priorities.